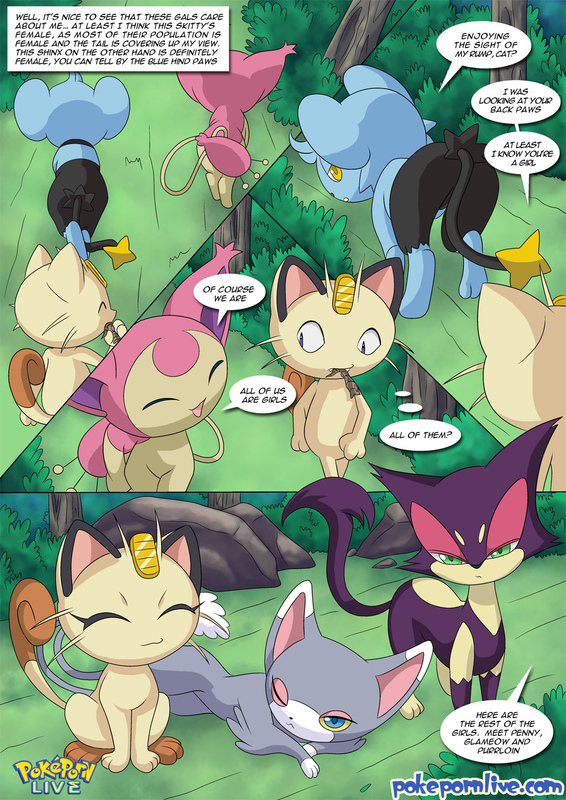 here's a sample page of The Cat's Meowth and as you can see, it centers around Meowth of Team Rocket. said it was cool to promote a few pages and this story will have all of the first stage feline pokemon to date. since this is for the members, I figured that a teaser is in order. EDIT: I figured that I would add the cover... why not, right? he needs to be quite the lucky dude, the guy has a terrible streak with the ladies. I thought that Skitty had a nose. Oh yeah...he's gonna get laid. When will we see more? I probably speak for Meowth when I say: Me-ow! (Page 1) Hmm...nothing too personal. (Page 2) Dem butts tho. (Page 1) Hmm...nothing too personal. (Page 2) Dem butts tho. the website has the full comic. enjoy! Thanks. I love the cover (front page of the comic).